3 Months to Formula 1 2014, keep up to date with the latest news & information about the upcoming race including full schedule, race information, track information, latest race result, driver & team standing and also some featured news. 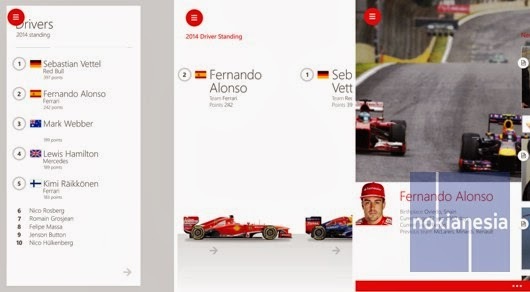 All the information are now available directly on your Nokia Lumia with Windows Phone 8 with the official "ESPNF1" application. 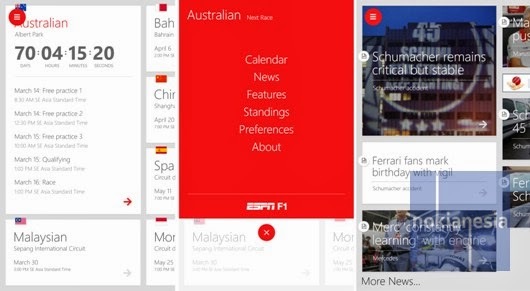 Free on Windows Phone store, you can grab it now to your Nokia Lumia with Windows Phone 8.